PHOENIX, ARIZONA – July 26, 2017 – GlobalTranz Enterprises, Inc., a leading technology-driven third party logistics (3PL) solution provider, today announced that it has been voted a Top 10 3PL to Watch by Inbound Logistics and has been named in the list of Top 100 3PL Providers for the third consecutive year. Inbound Logistics has long been regarded as the leading industry publication for business logistics and supply chain professionals. Each year, Inbound Logistics editors analyze survey data and perform phone interviews of nearly 300 companies, to select the Top 100 3PL Providers based on their ability to demonstrate excellence in optimizing logistics operations and innovating solutions that drive business transformation. The publication’s list of Top 10 3PLs to Watch is awarded by logistics professionals voting for their top 3PLs in terms of service, quality and meeting the needs of shippers and carrier partners. The Inbound Logistics 2017 Top 100 list and Top 10 3PLs to Watch appears in the July 2017 print and digital edition of the publication. The list will also be posted online on the Inbound Logistics website. Readers will be able to visit the website and enter their outsourced logistics requirements to match the solutions for providers that best meet their needs. 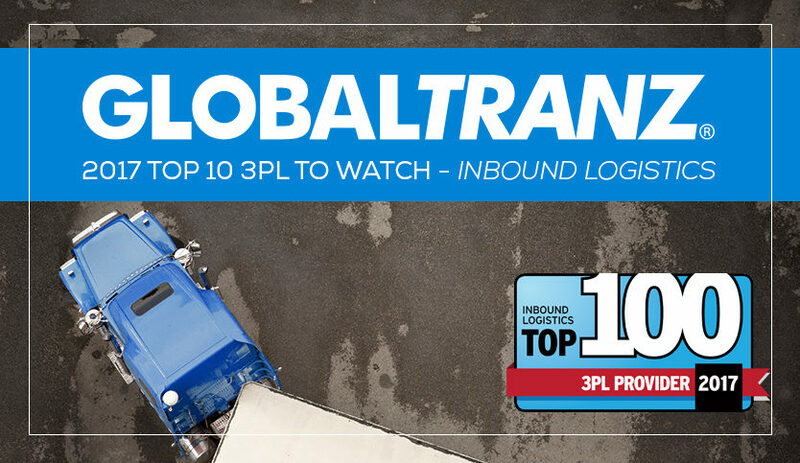 Inbound Logistics first named GlobalTranz to their list of Top 100 3PL Providers in 2015 and again in 2016.